rutland & partners is a leading Czech immigration law firm with over nine years of experience in business and personal immigration matters. We help our clients to obtain, maintain and defend their residence rights in the Czech Republic. At the same time, we provide advisory services to international companies for creating relocation plans for their employees transferring to the Czech Republic from abroad. Our main focus is the constantly changing legislation that influences the lives of foreign employees, their family members, students and entrepreneurs in the Czech Republic. We are able to choose the best approach to immigration for our clients, taking into account planned or already-implemented changes in legislation. 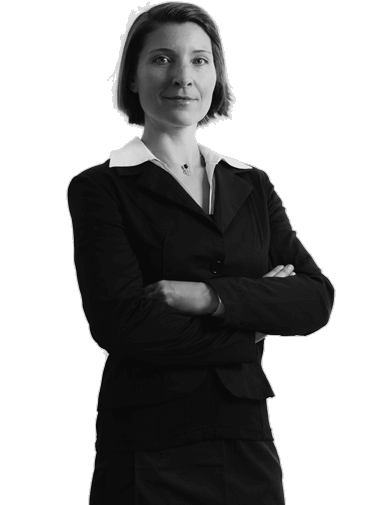 Marta is an experienced immigration lawyer, who has been representing international clients since the beginning of her legal practice. Both individual and corporate clients can turn to her with regard to their visa or residence issues. Marta is also representing clients who obtain the Czech citizenship through ancestry or in the standard procedure on granting the Czech citizenship. rutland & partners provides complete legal services and support to individuals who plan to relocate to the Czech Republic, including accompanying them to the Ministry of Interior’s Department of Asylum and Migration. We will gladly adjust our approach to your specific requirements. If you have found your Czech employer already, we can assist you with getting all the necessary permits in order to start legally working on the territory of the Czech Republic. A managing director of a Czech company who is a foreign citizen can qualify for a business visa but it is not as simple as it might seem at first. The number of declined business visa applications is increasing every year, and it is no longer sufficient to own a passive share of a Czech company or simply buy real estate in the Czech Republic. Running a legitimate, bona fide business, and having a physical office staffed by contractors or employees are just a few of the conditions that must be fulfilled. Thanks to our comprehensive knowledge of the Czech business environment, our team of lawyers and tax advisors is able to provide a broad range of professional services at all stages of new commercial projects. Family members of foreigners with a valid residence permit in the Czech Republic have a right to join their parent, husband, wife and in some cases children or partner in the Czech Republic. Family members of European Union citizens generally have strong rights to maintain their family links. We are able to deal with all the situations of a modern family. Are you residing in the Czech Republic because of work, family, studies, or just because you love the country? It might be useful to obtain a confirmation of temporary residence as an EU citizen, so that you can open a bank account in the Czech Republic, obtain a parking card for residents and many other reasons. If you are a Czech or EU citizen, but your spouse, girlfriend, boyfriend or partner is not, we will lead you through the process of obtaining a five-year temporary residence permit for your family. Students from countries outside the EU who have been accepted into a Czech university or college can obtain a long-term visa or long-term residence permit in order to reside in the Czech Republic for more than 90 days. rutland & partners lawyers can provide a step-by-step overview of the immigration process, focused on relocation of individual employees and their family members from abroad, or even relocation of an entire branch of a business. We are experienced in submitting applications for a large number of employees at the same time, without impacting the outcome. Keeping the timeline of your relocation plan is our main focus. rutland & partners lawyers represent Czech companies, as well as foreign companies that intend to open a branch in the Czech Republic, that wish to employ both EU and non-EU citizens here. We represent companies before the labor offices, provide advice to HR departments and represent each individual employee as an applicant for a blue card or other employment permit. Having difficulties with extending your residence permit due to constantly changing laws is nothing unusual, even for long-term residents in the Czech Republic. Any notification from the Ministry of Interior in connection with a residence permit extension indicates that you should seek professional legal assistance. rutland & partners provides services to foreigners already residing in the Czech Republic, such as for extension of a residence permit or work permit, a change in the purpose of stay, the cancellation of the temporary residence permit of a family member, and an application for other types of residence permit. We have helped a number of clients to obtain permanent residence in the Czech Republic. rutland & partners is the leading Czech law firm representing foreigners in the appeals process when a visa, residence permit or its extension is refused. Please note that you have only 15 days to appeal a negative decision from the day it has been delivered to you. The sooner you contact us, the higher are your chances of a successful appeal. You can obtain Czech citizenship in two ways: if you have been residing in the Czech Republic for ten years, or if you have Czech ancestors who left the country within the past 100 years. Both types of clients can turn to us for help in obtaining a Czech passport and thereby gaining free access to the countries of the European Union. Even if you don’t qualify for obtaining Czech citizenship through ancestry, your residence status can be upgraded by obtaining a permanent residence permit by being a member of a Czech expatriate community abroad. Internetová stránka tohoto pověřeného subjektu je www.cak.cz.